Keep your cigars in pristine condition in this solid wood humidor. Boasting a sleek carbon fiber design, this silver cigar box comes with a hygrometer and humistat for showing and adjusting the humidity levels. 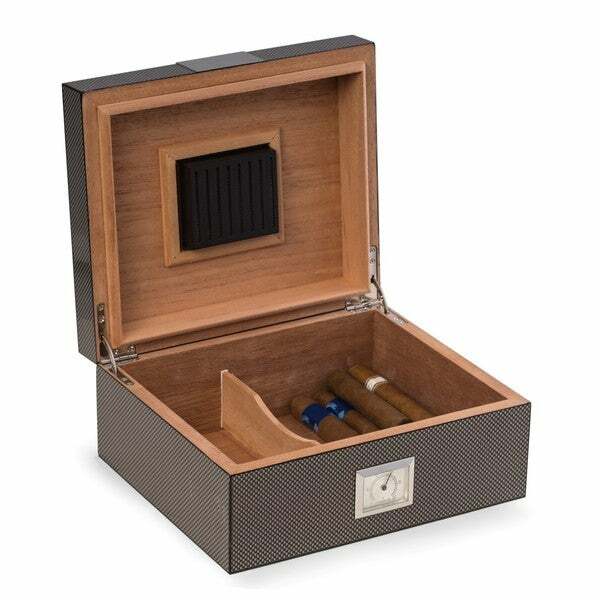 Suitable as a gift, this cigar humidor has enough space for 50 cigars and cleans easily with a cloth.